This shaved ice and popcorn stand has been a Pittsburgh landmark on the North Side for many years. This painting is being done as a commission piece. My intention is to treat part of it like an old time photograph then add vivid color to essential areas. 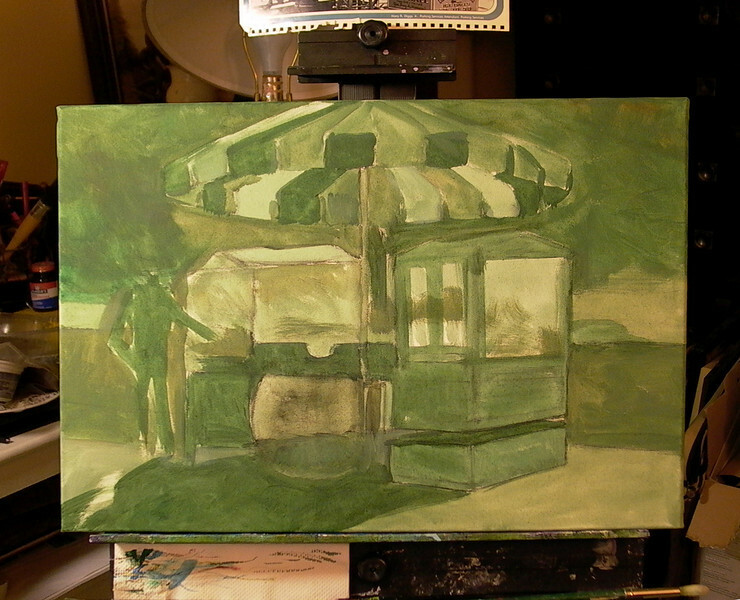 I've begun with an underpainting to lock in composition and general lighting.